Is Food and Nutrition For You? People who study food and nutrition are not only interested in the science behind ingredients that make up a dish, but also in the ways individuals and societies interact with what they eat. Whether you focus on making your community a healthier place, or invent the flavors of tomorrow, you can have an impact that extends far beyond the taste buds. With award-winning faculty and exciting undergraduate research opportunities, the USU College of Agriculture and Applied Sciences is the perfect place to start your food-related career. Dietitians translate nutrition science into solutions for a healthier life. Future dieticians are trained to become experts on health and nutrition, and build skills to educate and counsel others about their daily diet whether they are busy parents, elite athletes or hospital patients. As an advocate for healthy eating, you can make positive changes in communities and in the lives of individuals. You will be able to craft eating plans that promote health, prevent allergic reactions, and alleviate disease symptoms. Registered dieticians put their skills to use in hospitals, nursing homes, athletic training programs, schools, and private businesses. 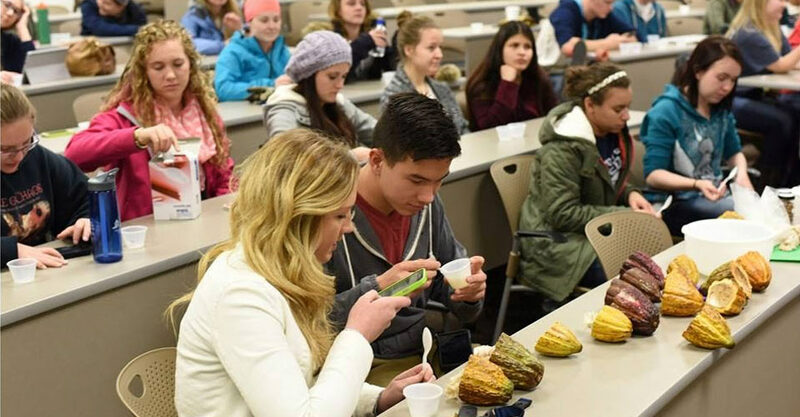 The College of Agriculture and Applied Sciences offers two programs in dietetics: the Coordinated Program in Dietetics (CPD) and the Didactic Program in Dietetics (DPD). Admission to these programs requires a formal application process during spring semester of your sophomore year. Graduates of this program have a greater than 90% first-time pass rate on the Registered Examination for Dietitians. Produce new safer, more flavorful and healthier food products by understanding and applying principles of food chemistry, biology and sustainability. Combining elements of engineering, biology, chemistry, and physics, food scientists study the nature of food and its component parts. Using analytical and problem-solving skills, they work to improve the creation, processing, and distribution of foods that are nutritious, wholesome, affordable, and safe to eat. Food scientists are in high demand and find employment with laboratories, universities, food manufacturers, and product developers. 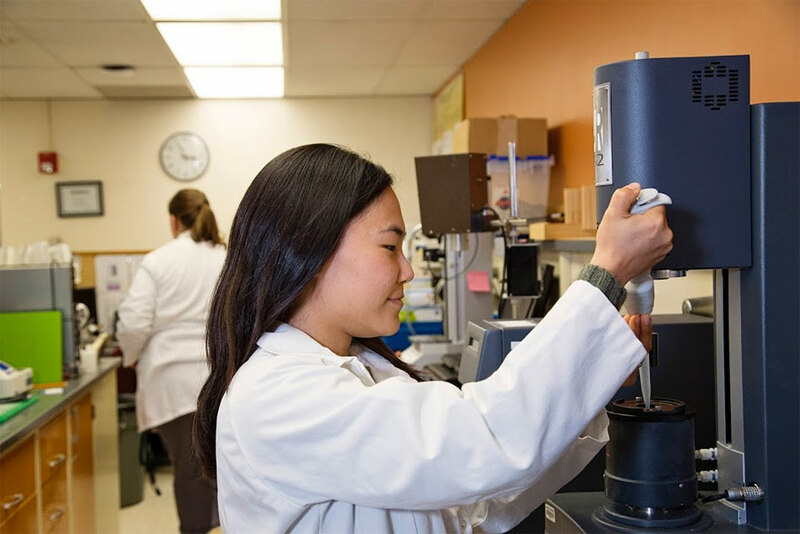 Future food scientists can expect exciting careers creating new food products, analyzing the nutritional contents of foods, and discovering ways to make processed foods safer and healthier. Understand the complexities of how food interacts with the human body and the role of microbiology on food preparation and safety. Focusing on the way the human body interacts with food and nutrients, a degree in Nutrition Science prepares students to tackle a variety of health problems and concerns. Combining principles of nutrition with related sciences such as anatomy, physiology, biochemistry and medicine, students gain a solid background in health and life sciences. 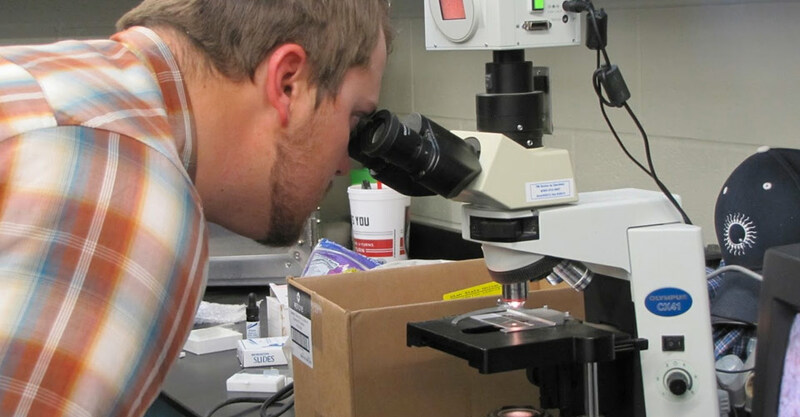 This degree prepares students for medical school, work in other health professions and in research by providing experiences with laboratory research, epidemiology and clinical nutrition. This versatile degree allows students to create their own career paths. Graduates interested in health promotion often work in government agencies, public health or higher education. Make an impact in the community by learning to effectively teach and inspire people to develop important life skills that lead to happier, more productive lifestyles. This degree is ideal for students who want to educate others and help improve their quality of life. You will receive a broad and well-rounded education in financial and resources management; health, foods and nutrition; wellness; child development, parenting and family life; clothing and textiles, and interior design and housing. 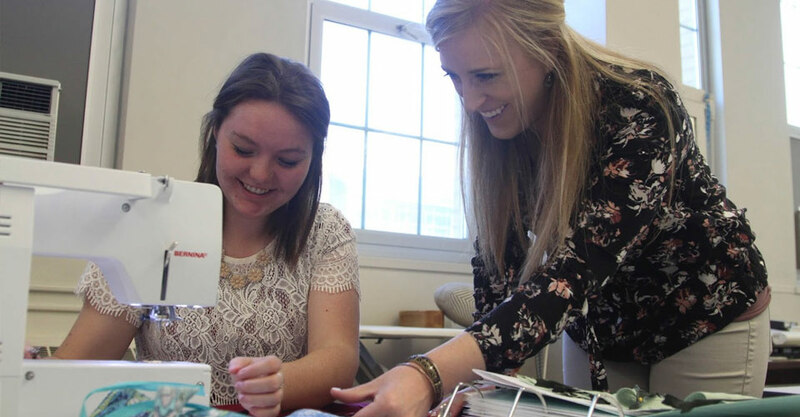 Through a student teaching component, you will also gain hands-on experience and develop classroom management skills to help you build a successful teaching career. Upon graduation, FCSE majors have nearly 100% job placement. Thanks to excellent faculty members, students also boast a nearly 100% pass rate on the Praxis exam, which is required for all teachers. There are many career options, with most graduates working in education, Extension, marketing, research, product development or working to assist families and communities through various agencies. 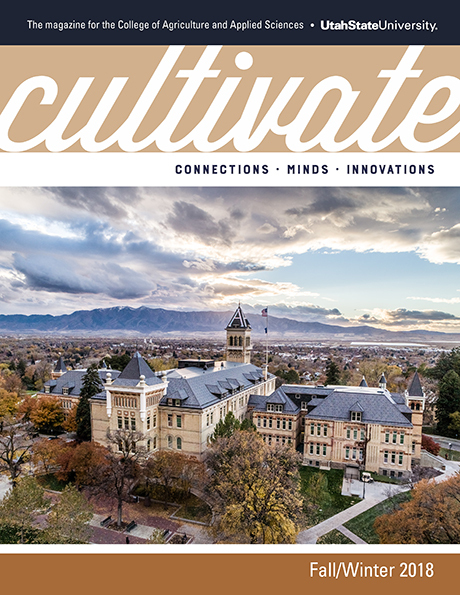 Upon submission you will receive a 4-year plan and a brochure all about Utah State University. On top of that, we'd love to reach out and see what other questions you may have! You’ve done great! Now, kick your feet up and take a look at this four-year plan to get an idea of what kind of classes you’ll be taking. Let’s talk soon! Go Aggies!